On April 20, 2018, our students and colleagues met Dr. David C. Birner, Executive Director of International Education, Concordia University Wisconsin, and Dr. Daniel S. Sem, Dean and Professor of Business School, Professor of Pharmaceutical Sciences, Concordia University Wisconsin. Dr. Birner and Dr. Sem touched on many interesting topics in their speeches, and also presented videos about the Concordia University Wisconsin to all listeners. Dr. Birner’s presentation “Individual Rights and Education” was devoted to the rights of US citizens, in particular civil liberties. The speech was rich in examples and explanations. 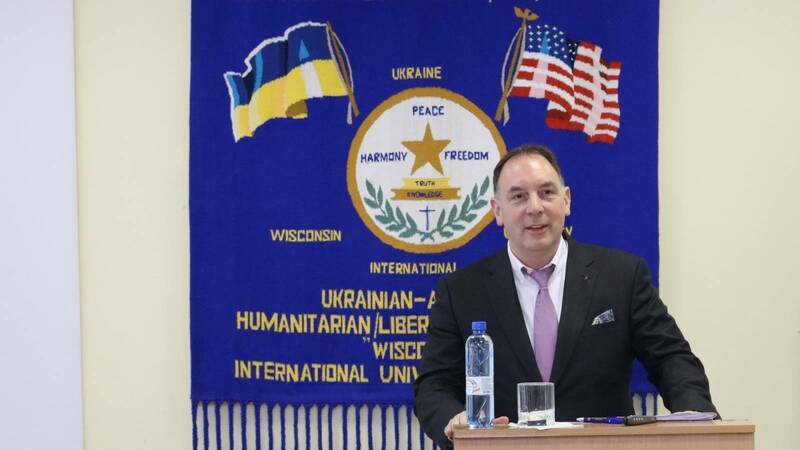 Also, he suggested that students compare the civil liberties of US citizens and citizens of Ukraine. The topic of Dr. Sem’s presentation was “Entrepreneurship and New Venture Formation”. The speaker said a lot about the MBA program at Concordia University Wisconsin. Also, special attention in the speech was paid to the issue of entrepreneurship. Students listened to the offered lectures with great enthusiasm, asked questions and participated in the discussions. http://www.concordia.edu.ua/wp-content/uploads/2018/05/30806055_1940213106019882_4595762524184543207_o.jpg 1066 1600 Nikolay Slabko http://www.concordia.edu.ua/wp-content/uploads/2017/12/Konkordiya-ENG.png Nikolay Slabko2018-05-04 11:00:142018-05-04 11:00:14Dr. David C. Birner "Individual Rights and Education" and Dr. Daniel S. Sem "Entrepreneurship and New Venture Formation"
On March 9, 2018 our students and teachers met with Professor, Doctor Stefan Welk. 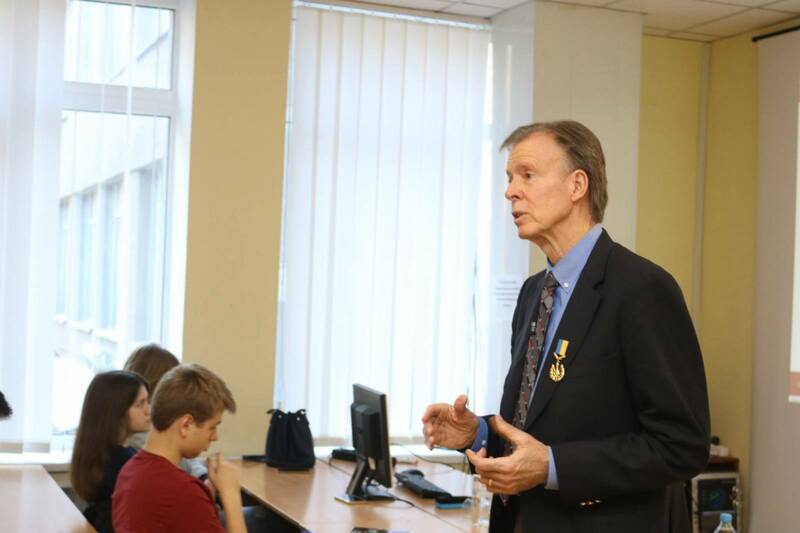 Professor delivered a lecture on diplomacy and aspects of work of the diplomats. In particular, one of the issues was the importance of mastering the art of negotiation. The presented topic was very interesting for students and, upon completion of the lecture, students asked a large number of questions. 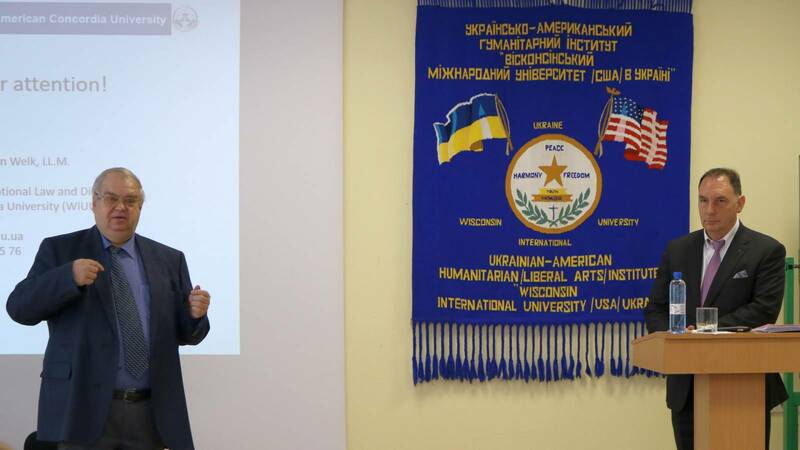 Doctor of Economic Sciences, Professor, Head of the department of Public Institution “Institute of Environmental Economics and Sustainable Development of the National Academy of Sciences of Ukraine” Bystriakov I. K. also participated in debates. http://www.concordia.edu.ua/wp-content/uploads/2018/03/IMG_5350.jpg 900 1600 Admin http://www.concordia.edu.ua/wp-content/uploads/2017/12/Konkordiya-ENG.png Admin2018-03-09 16:13:242018-03-09 16:25:29Prof. Dr. Stephan Welk "Diplomacy Between Statecraft and Social Science"
On November 29, the students of our American Studies program attended the lecture «Intelligence, Security Services and Counterterrorism» delivered by Gert-R. Polli, Prof. Dr. phil., UACU Honorary Professor. 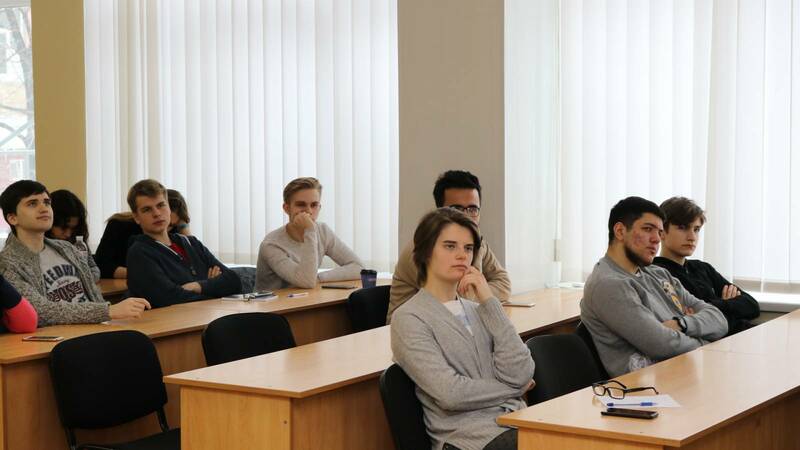 The lecture with the head of the department of international corporate business, Deputy Chairman of the Board of Citibank-Ukraine Н. Mikulytska passed in one go. So, we examined the topic “Ethical decision making”, everything was clear and understandable. I believe that this topic is very important for us as we are future managers. The following issues were also considered: the principles of decision-making on ethical considerations in society; corporate features of decision making and implementation; ethics in making managerial decisions. Master class from Hanna Mikulytska was simply gorgeous; I enjoyed every word when I attended the lectures. It was such a pleasure to be present at the lecture, delivered by Hanna Mikulytska. Despite the fact that the topic of the lecture “Ethical decision making” may sound boring, she managed to make it extremely interesting. She didn’t just read information, but gave us real examples, one concerning a situation in a family and another – in a huge entity “Citibank”. Both of them were educative and made me think about how I would behave in similar situations. Hanna Mikulytska also informed us about three “ethical loops”, including right, good and fitting, which can also be explained as media, manager and mama. This as well was new for me and I enjoyed the explanation of it very much. To sum up, I would like to thank Hanna Mikulytska for such a wonderful lecture. I would be happy if you came to our university more often. 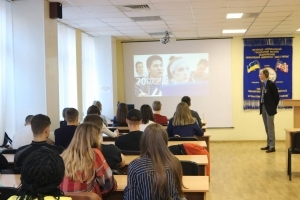 The most recent American Studies lecture took place on last Wednesday, November 1st and was given by Hanna Mikulytska, the Ukrainian Global Subsidiary Director at Citibank. The last lecture was quite different from the previous ones in the regard that the speaker was Ukrainian, and not a foreigner from the U.S. or Germany, like in times beforehand. Fortunately enough, her not being a native English speaker did not affect either the quality or the amount of substance presented during her address. 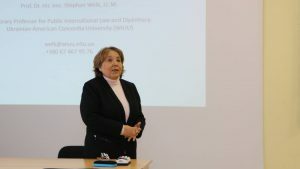 Ms. Mikulytska’s speech concerned the topic of Ethical Decision Making, a subject I and other freshmen students at WIUU had already discussed earlier during Principles of Diplomacy class, and expanded upon it. Rather than using a more theoretical approach during her speech as our past lecturers did, she instead gave us actual real-life cases, wherein people would use ethics in making financial decisions. The first example was about a boy who had found his grandmother’s lost purse, and withdrew money from it, because he thought his actions were justified, as he was, in his own mind, “part of the family”, and thus, had permission to take money out of the family’s budget without his relatives’ necessary knowledge. The second example was that of a mishandling of an error in a bank’s computer system. As she described to us, the person who was responsible for the coding mistake was fired, but the bank’s employees who had taken advantage of the error for personal monetary gain, were not, since such an action was not legally punishable. Ms. Mikulytska used those two instances in order to convey to us the difference between the terms “right”, “good”, and “fitting”, when it comes to making choices concerning money in both domestic and business circumstances, as well as “ethical loops” that making such choices involves. Ms. Mikulytska’s discourse has taught me about ethics in business, as well as provided me with specific instances of making such choices, which has given me new insight into the aforementioned topic. I am eagerly anticipating our next AS lecture, and am hoping to see Ms. Mikulytska once again. 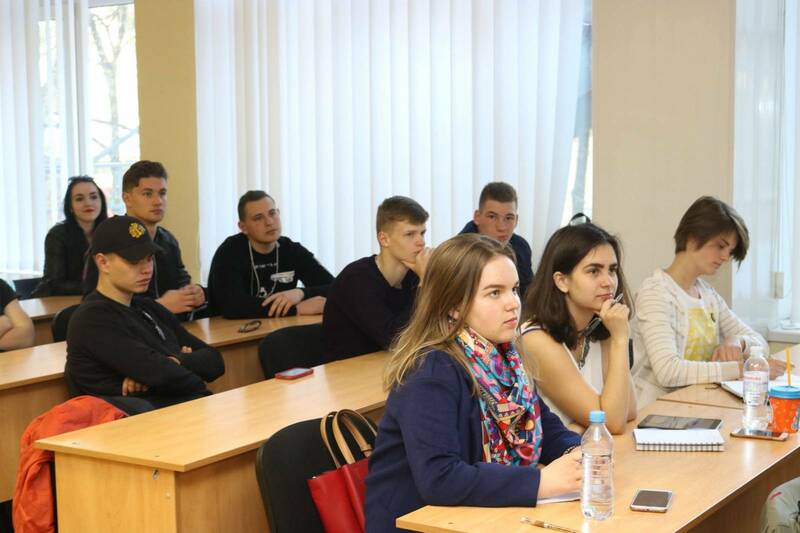 The students of our American Studies program attended the lecture «Industries of the Future and the Future of Work» delivered by Mr. Paul Thomas, Adviser to Rector of Ukrainian-American Concordia University and Ukrainian business expert. The lecturer discussed the jobs to be in demand, the influence of education upon development of the required competences, and the scope of skills needed for a future successful career. We are happy to invite the students of our American Studies program to the lecture «Industries of the Future and the Future of Work» on Monday, November 20. The lecture starts at 11:00, aud. 2-4. 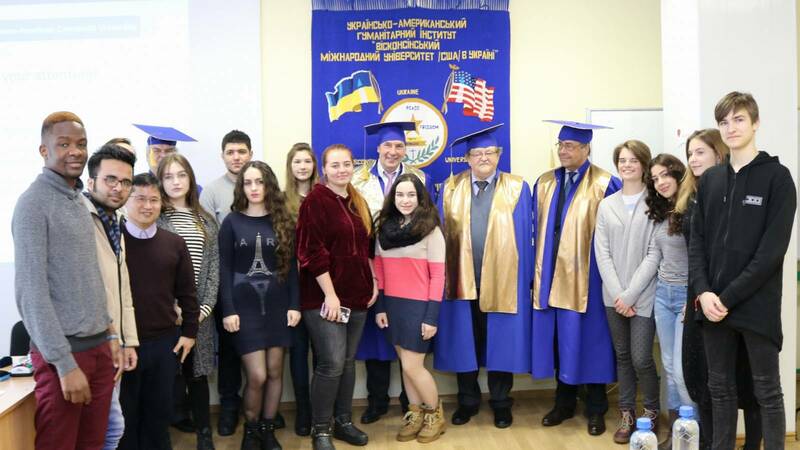 Lecturer: Mr. Paul Thomas, Adviser to Rector of Ukrainian-American Concordia University. 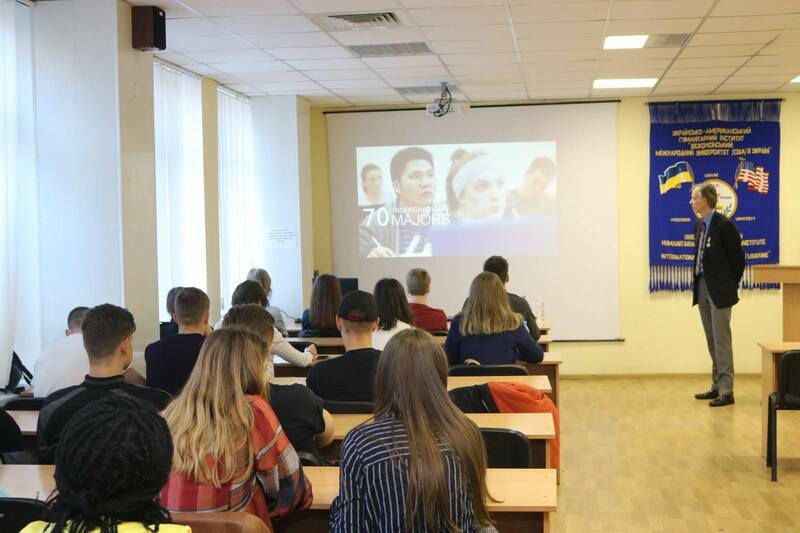 As part of the “American Studies” course, WIUU students took part in a master class “Ethical Decision Making” delivered by H. Mikulytska, Head of Department for International Corporate Business, Vice Chairperson of Citibank-Ukraine Board of Directors. The scope of the master class included principles of decision making on a society’s ethical concerns, corporate peculiarities of taking and implementing decisions, and ethics in taking administrative decisions. Our students continue to study the “American Studies” course. Professor Axel Haas (Germany) is management partner at Arend Process Automation GmbH, a lecturer at the Department of Management of the University of Trier (Germany), Honorary Doctor of Philosophy at the National Pedagogical University named after M.P. 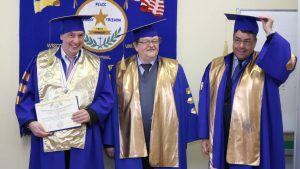 Dragomanov, Honorary Doctor of International Business and Honorary Professor of marketing and entrepreneurship at WIUU. The topic of the lecture was “Minor Entrepreneurship and Small Business Management”. Professor Haas along with the students discussed the following issues: general approaches to venture financing: main sources, periodization, positive and negative features, examples; ways of interaction between investors and entrepreneurs, opportunities for both sides; characteristics and the role of crowdfunding in society. http://www.concordia.edu.ua/wp-content/uploads/2017/10/IMG_3310.jpg 1067 1600 Nikolay Slabko http://www.concordia.edu.ua/wp-content/uploads/2017/12/Konkordiya-ENG.png Nikolay Slabko2017-10-27 09:43:282017-10-27 09:43:28Our students continue to study the "American Studies" course. 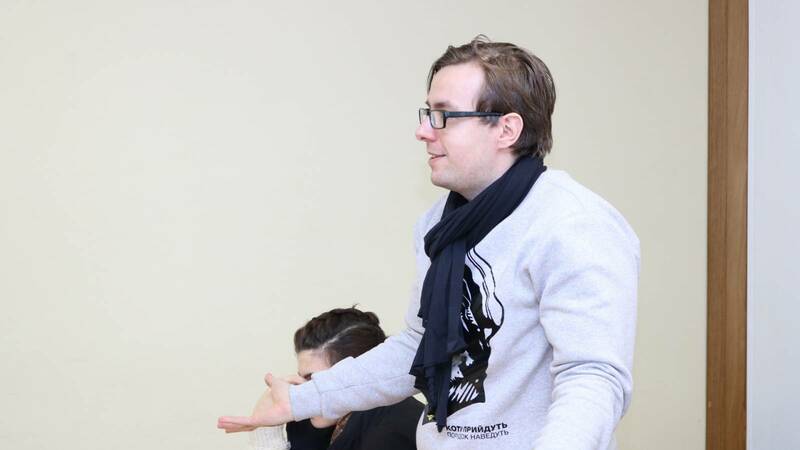 Practical course “American studies ” for students of WIUU continues with our guest professors from Germany. 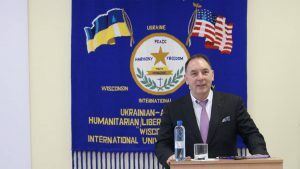 The theme «Essentials of Modern Diplomacy» (General principles of formation of modern diplomacy) was discussed in class with Moritz Hunzinger Chairman of the Supervisory Board Brocard Group (responsible for the retail trade in Ukraine), PR-consultant, Professor of PR and communications; Honorary PhD of the National Pedagogical University named after Dragomanov, Honorary Senator at the Ukrainian Free University (Munich, Germany), Honorary Ph.D and Professor of PR and communications at WIUU. Lecture materials were prepared by Professor Moritz and Professor Stephan Welk – Honorary Doctor of International Law and Diplomacy at WIUU. Students, along with M. Huntinger, discussed the following issues: problems of formation of modern diplomacy: academic approaches and inconsistency with existing practices; the division of functional responsibilities between public and private structures in the formation of diplomatic relations; the current state and ways of improving diplomacy; German approaches to building a diplomatic society; normative legal acts that ensure functioning of diplomacy at the national and international levels. http://www.concordia.edu.ua/wp-content/uploads/2017/10/IMG_3344.jpg 1067 1600 Nikolay Slabko http://www.concordia.edu.ua/wp-content/uploads/2017/12/Konkordiya-ENG.png Nikolay Slabko2017-10-27 09:41:382017-10-27 09:41:38Practical course "American studies " for students of WIUU continues with our guest professors from Germany. 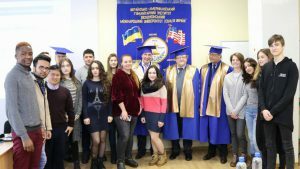 On October 17 WIUU students attended a class of the course “American Studies”. UMC Chancellor Dr. Mary Holz-Clause and Michelle Christophson, student recruitment director of the University of Minnesota Crookston, introduced the United States University Education System, in particular, the organization of the educational process at the University of Minnesota Crookston (USA) and student life. She talked about the specialties offered at the University, about student organizations, study and leisure facilities for students.